​I've spent most of my life getting to know my voice, body, and spirit in nature. I grew up participating in sports, theatre, music and dance. After practicing yoga for 10 years I finished my RYT 200 hr in 2012. I went on to manage high volume studios in Manhattan and Brooklyn. I have facilitated several teacher trainings in power vinyasa and traditional hot yoga, and lead multiple Silent/Yoga/Hiking retreats. I spent most of 2016 traveling and had the opportunity to teach in Argentina and Colombia! In life I feel it's important to focus on the breath and intuition. Yoga has helped me to trust, respect and honor my body daily and my intention in my classes is to share that as much as possible. In October of 2016 I started a YouTube channel called Yoga For Your Dad. It’s inspired by my dad, but my goal is to make more yoga accessible to more people. I spend lots of time outdoors, hiking, climbing, swimming, running around and balancing on things! I look forward to meeting you! Let's play! My involvement with yoga began in 2010 while I was playing soccer at the collegiate level. The physical and mental toll that this competitive sport had on my body and the many injuries that arose from it led me to begin practicing yoga. Physically this practice has helped me to repair my body, and mentally it has helped me to find some comfort and clarity in my life and in my own skin. I'm trained in both Vinyasa and Traditional Hot so that I can share with others the mental and physical benefits that this practice has given me and continues to give me. I strongly believe that yoga is for everybody and every kind of body. I strive to hold a safe space for any student to learn about their body, breath, and mind. ​Yoga is a lifeline for me... a meditation for those who just can't meditate yet.. yoga can change your life if you let it.. i'm an lcsw and an ryt.. and i believe that yoga can be the greatest therapy of all. My yoga journey began in 2002 when I attended my first Asthanga yoga class and instantly felt a connection to the practice of yoga. The movement of the body as it relates the mind and breath drew me in and I have never been the same since. I became certified in 2013 and focused mainly on the Hot 26 before coming to NP Rock where I began teaching the Hot 50. My goal when teaching yoga is to make yoga available to any body, making the practioner feel comfortable and welcome. Hot yoga has changed my life profoundly as it allowed me to slow down and notice what is going on inside my head and how I react to everyone and everything. I have 2 young boys, Jack and James and a wonderful husband Jeremiah. After lightly exploring the surface of yoga for a number of years, Sofia found herself delving much deeper into the practice after discovering hot yoga; first primarily excited by the physical effects, and then quickly taken by the mental shift that occurred along with them. Realizing the positive results Yoga had on her life as a whole, and feeling a desire to pass them on to others, Sofia underwent a 300-hour training through Rock Yoga. 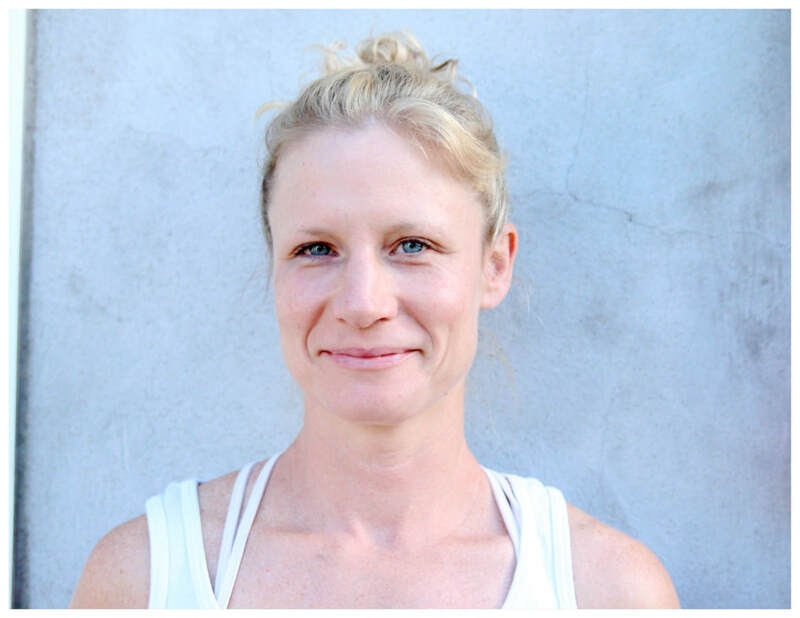 She teaches all level vinyasa flows, hot, and restorative, allowing students to find the ability to work through postures, while finding a connection between their breath, mind and body. Amanda discovered yoga after finding herself lost and overworked while working in corporate advertising in New York City. She dove deep into yoga, meditation, and the philosophy of yoga, all of which inspired her to deepen her yoga practice and become a yoga teacher. She completed her 200 hour training through Ohana Rising Yoga School which was deeply rooted in Bhakti and Dharma yoga with an interdisciplinary approach to teaching. She organically weaves inspiration from many different areas of yogic practices, art, and cultures to create nurturing, calm environments for people to be still, connect to themselves and the earth.